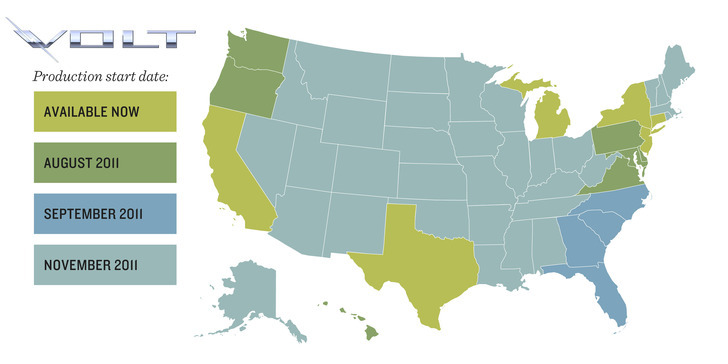 The Chevy Volt is finally available for order in all 50 states. This Friday, General Motors started taking orders for the plug-in EV across the U.S., lowering its base price by $1,000 and adding 4 options packages at the same time. 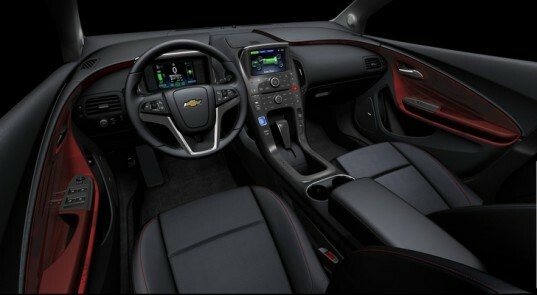 The 2012 Volt starts at $39,995, including delivery. Buyers are eligible for the $7,500 federal EV tax credit, though they should be forewarned that some Chevy dealers have been accused of selling new Volts as gently used cars in order to pocket the difference in price. The new car is now available in two new colors: blue topaz metallic and summit white. In anticipation of orders ramping up, GM is expanding production at its Detroit-Hamtramck plant. Will you buy one?